Zion UCC is but one member of the body of Christ. We are committed to being in covenantal relationship with Christ's Church that extends far and wide. We are part of the United Church of Christ. Our church family is part of an even bigger family! We are part of the denomination known as the United Church of Christ (UCC). This is a distinct and diverse community of Christians that come together as one church to join faith and action. With over 5,000 churches and nearly one million members across the U.S., the UCC serves God in the co-creation of a just and sustainable world. The UCC is a church of firsts, a church of extravagant welcome, and a church where "…they may all be one" (John 17:21). 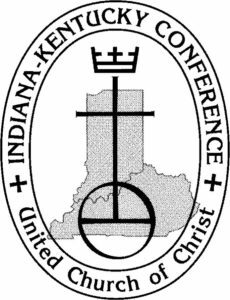 We are committed to being in partnership with our sister churches in the Indiana-Kentucky Conference of the United Church of Christ. Our conference's mission is to provide a vibrant and faithful witness to the work of God's Love in Jesus Christ. Our Conference is a blending and union of 144 faith communities coming historically, from eight separate bodies, namely: the Congregational Churches, the Christian Churches, the Evangelical Synod, the Reformed Church, the Magyar Synod, the Evangelical and reformed Church, the Congregational Christian Churches and those congregations which were begun as a United Church of Christ in Indiana, Kentucky, and parts of Illinois. Merom is our church camp. 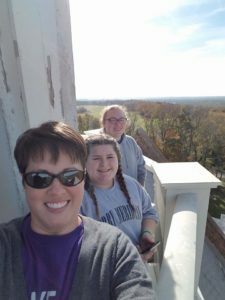 During the summer and throughout the rest of the year, both our youth and adults journey to Merom to grow in their faith and have fun with the great people throughout our Conference. Merom holds a special place in our hearts.